The Durafirm Collecton® are vinyl doors that are perfect for people looking to avoid the maintenance of wooden doors. Their thick, rugged skin provide remarkable thermal efficiency as well as protection from dents, rust, and exterior noise. They are available in a wide range of colors and styles, all of which will look great year after year with minimal upkeep. 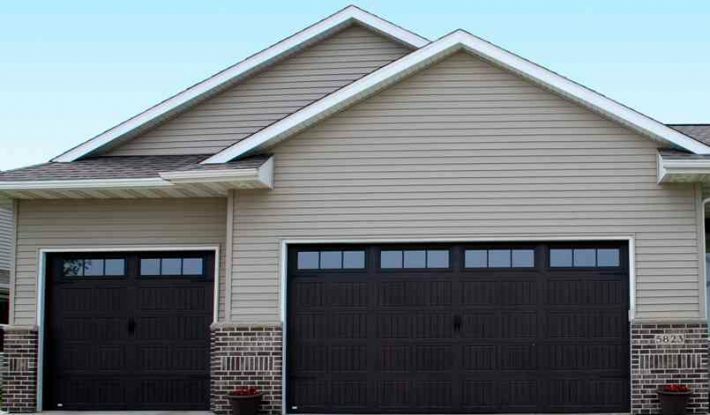 The Durafirm Collection® garage doors are available in four standard colors. Providing exceeding strength, superb sound absorption and a high level of energy efficiency (R-value of 11.75). Giving the timeless appearance of freshly painted hardwood. (Available in standard panel style only). Offering color that goes through the exterior vinyl skin so the effects of scratches are minimized. Protecting the door from the sun’s harmful ultraviolet rays with special polymers. Strengthening your door with 22-gauge steel C-channels running the full length of each panel and anchored to interior steel stiles. All window treatments come with clear or privacy glass. Available insulated and non-insulated. All decorative trim windows come standard with double strength glass.